Order from us quality skin care product that work and you are guarantee of result. We offer best prices of our product with discount for bulk purchase and we deliver worldwide right to buyer door step in just few days. You see result like miracle in couple of weeks after regular usage as instructed so why not contact us today and place your order with us. 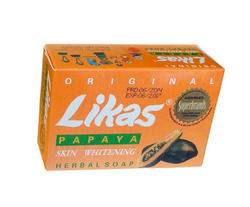 Likas Papaya Soap is an organic herbal soap designed to whiten the skin. 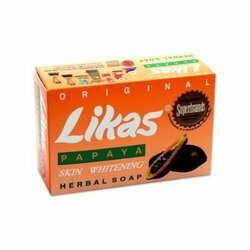 It is probably the most effective papaya soap there is. Papaya soaps relieve dark pigmentation, reduce dark spots and even skin tones. It can be used for melasma, acne scars, freckles, and age spots or to generally lighten and brighten your skin tone. - Good.First Filipino Pure Organic Herbal SoapHerbal with papaya and blended with tropical herbs to whiten the skin for clearer and finer skin complexion. Get Result in 10days after use no any harmful chemical in it and no any side effects.